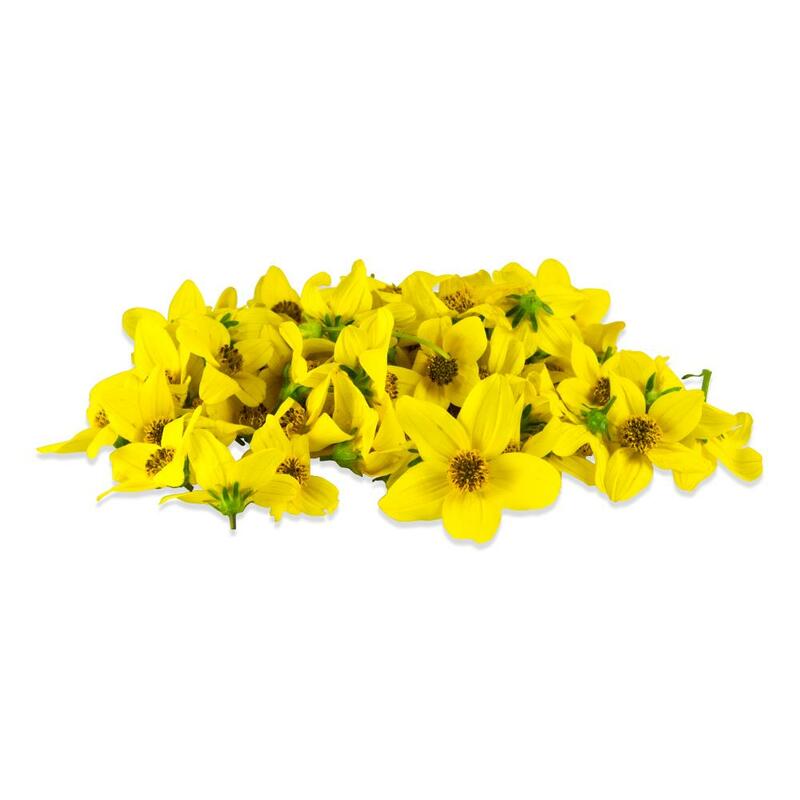 Micro Sun Daisy™ flowers are small yellow blossoms with yellow-black centers and green stems. Their flavor is bitter, mustardy & grassy, and (though completely edible) they’re better suited to use as a food-safe decoration rather than as an edible garnish. 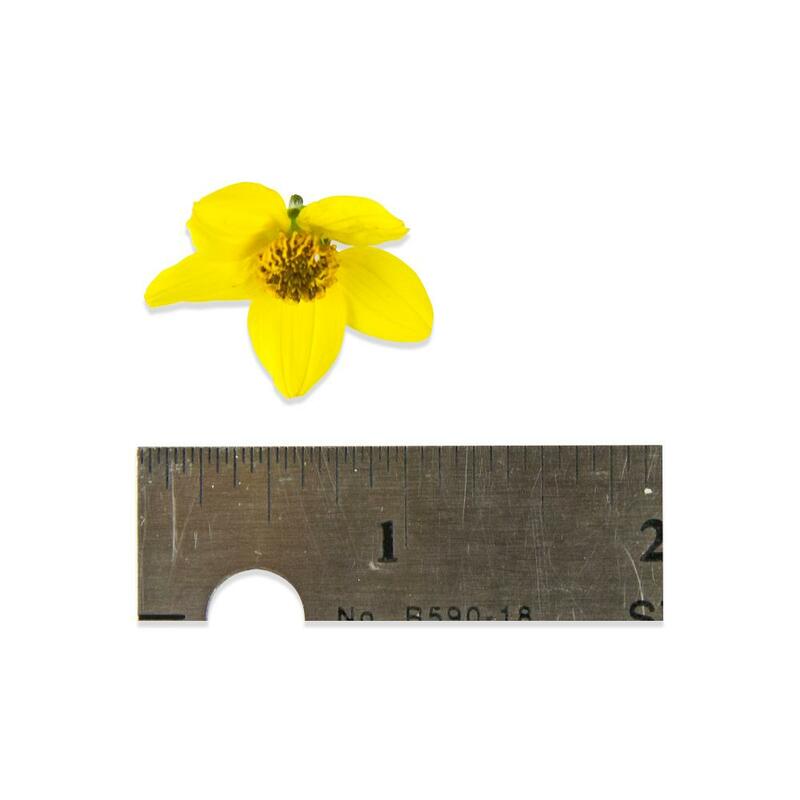 Micro Sun Daisy™ blossoms tend to be roughly 1” by 1 ¼” wide. Store Micro Sun Daisy™ in their plastic clamshell in your refrigerator. 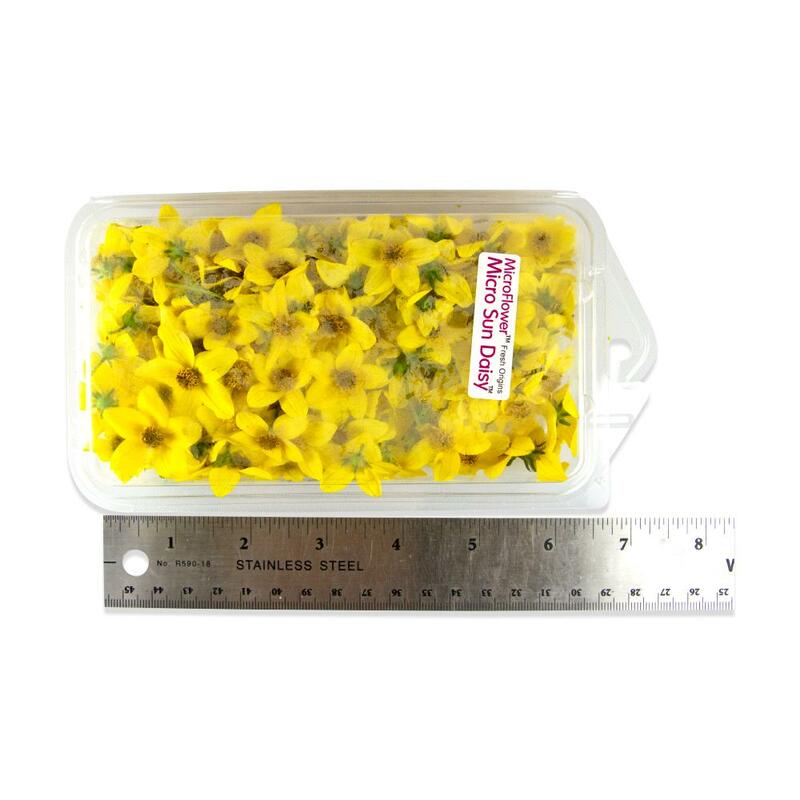 Use Micro Sun Daisy™ flowers as a decoration for plates, platters, banquets, etc. Because they can be very bitter, put them to the side of food as an inedible decoration (even though they’re safe to consume) rather than directly on food.